I got this VOV lipstick from snapdeal ages ago, I mean 6 months ago and I must say it isn’t a color which I could skip reviewing. It a shade of Red but a tad different on the lips. I really like this color and felt after using this that even though it is from a brand like VOV, which by no means we can know whether they are original or the usual fake ones. Anyways, this was for 325 INR and I got this shade no 34 called Spicy Red. 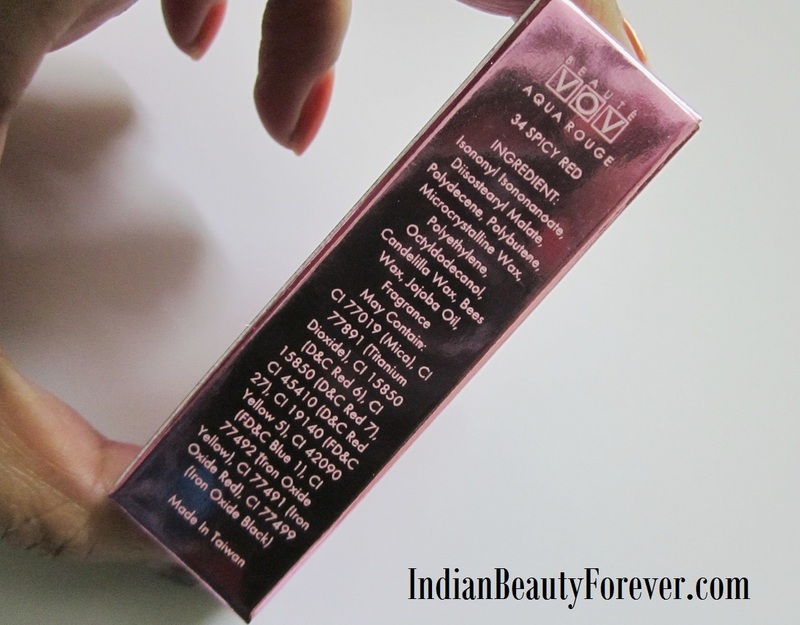 This VOV Aqua Rouge Lipstick comes in an outer packaging which looks good and has all the ingredients mentioned. I have not seen ingredients list on any lipstick from the popular brands so far like Colorbar, Lakme etc. Packing looks good and not cheap at all. Resembles a lot like Colorbar velvet mattelipsticks with the same shade given at the bottom. Tube is white and has a fruity smell that can be too much at times but nothing that should be a problem. I have used it a couple of times and must say it has a good staying power and pigmentation is just superb. It is so much pigmented. A light touch can give a intense rich looking color. It’s a matte with creamy finish so it doesn’t dry out my lips still I have this habit to put a lip balm before this. I am still amused by it’s great formula!! Ahh, it just glides so smoothly and the color is just fantastic. I really really like the shade, texture and formula due to which I did this short review and swatch post! Here are the lip swatches! 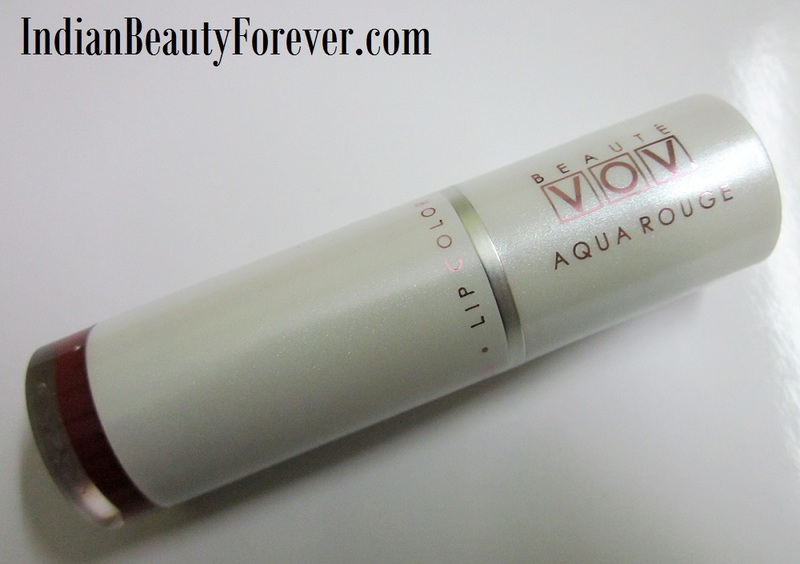 Take: If you find this VOV Aqua Rouge Lipstick range then do try at least one, if you don’t mind the brand. OMG!! Pigmentation is amazing for VOV!! You Have Such B'ful Lips, Niesha! And, Even The Shade is Very Pretty! Glad It Has Such a Nice Texture! I really like this shade, it has a some orange and brown tones to it which makes it less bright and subtle than true reds! Thank you so much Poo for the compliment. :) I am excited to see such a pretty color from a brand like VOV. Thank you Richa!! :) I got two of their lipsticks months ago and surprisingly they are good!! Your lip swatches Neisha! omg...so beautiful. The lipstick is nice too , but I am always on the fence about this brand. Aww thank you so much Sugandha!! They were my first as well but glad I am not disappointed! If you find these lipsticks then do try them but since they have so so many dupes available in the market, I am not sure about the other. These are really good! Thank you Rajshree. :) Glad u liked the swatches. 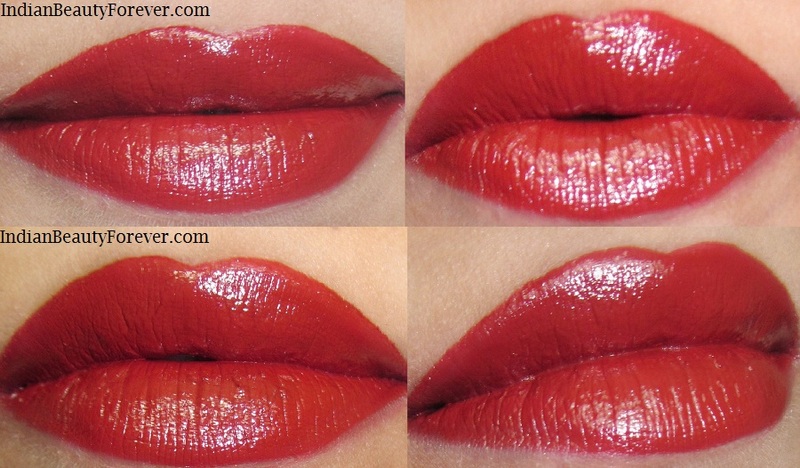 *Whistle* Seductive lip swatches Niesh <3 <3 <3 Red Hot !! I love your lip swatches.. u apply lipstick so neatly .. please teach me how to.. do u use some particular lip brush ?? That is such a gorgeous, rich shade! oh wow! it looks superb on you. what a beautiful shade. I love this color! thank you so much Coral! is it?? Do you have the same ones..since it doesn't taste bad. This brand has a lot of replicas in the market! You have such nice plump lips ! Any color will look great on you Niesha ! The color does full justice to the name of the lipstick. Isn't VOV a brand of MTV? I vaguely remember MTV launching it in the past. Anyways, lovely swatches. Very pretty! Hi Niesha the shade looks nice on you. But I am not comfortable wearing such shades since I feel they look so harsh on me. Thank you Nisha! I can understand there are shades of browns and plums that looks horribly harsh on me! But I think may be it's just that you are not comfortable else it will look great on you! So pretty! Lovely shade neisha! That's a lovely red. Recently, i did a blog post on Colorbar Velvet Matte Lipsticks. In them, there is this gorgeous shade called - 80V Hearts & Tarts. 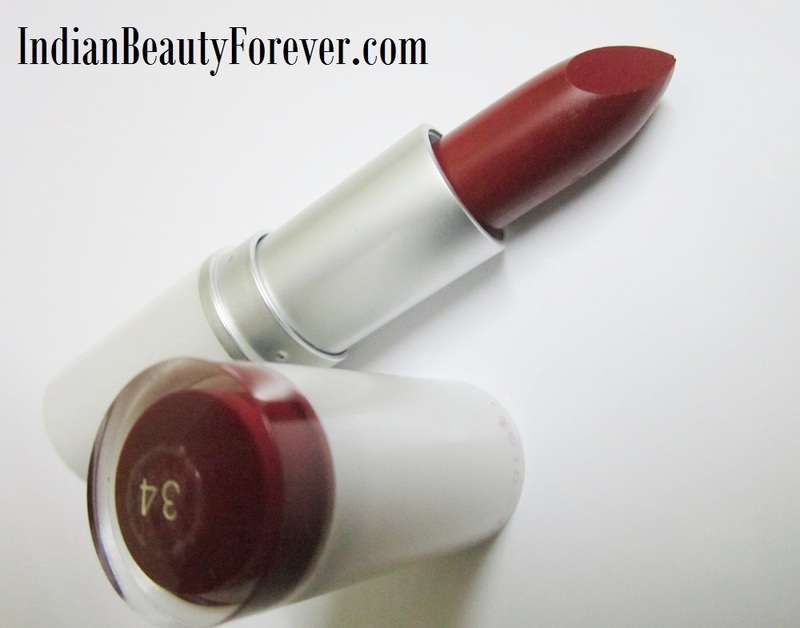 If you are a fanatic of red lipsticks, i highly recommend you try this one. You can find the complete review of it on my blog --> beaushiondiva.wordpress.com. It looks fantastic on your lips!!! Just one word - Beautiful.. And your lips are really very pretty.